People who wear reusable contact lenses have been advised to ensure they are following the correct maintenance and cleaning programmes for the products to maximise ocular hygiene. The Shreveport Times pointed to recent research published in the Optometry and Vision Science, which showed that rub-and-rinse method is the best for cleaning soft contacts. The source noted that this test was found to be most effective for cleaning monthly contacts and other reusable variants and therefore is a good option for contact lens wearers looking for the best type of maintenance regimen. Whatever people"s lens type, it advised them to always wash their hands with soap and water and dry them with a lint-free towel before handling the lenses. 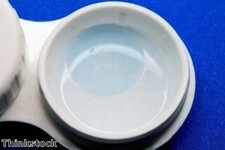 The source also advised: "Don"t rinse or store lenses in water, don"t use saline solution or rewetting drops to disinfect lenses, rinse your contact lens case with fresh solution, not water, and let it air dry." People also need to replace the case every three months, better still monthly, and avoid ever using old solution to maximise hygiene, it advised.